Deposit, withdrawal, transfer or bill payment… Those can be easily conducted with TMB Basic Account that links to TMB Lite Debit Card… For your more convenience, and more saving…. We offer free service for the transactions between TMB accounts. Free++ means waiver of fee without limited the number and amount of transactions. No minimum opening deposit required. Deposit can be made at every TMB branch nationwide without limit. 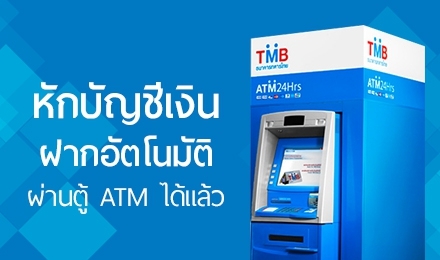 Withdrawal can be made at any TMB branch nationwide without limit. Withdrawal can be made at the account owner’s home branch without limit. Cross-branch withdrawal is limited at not exceeding 500,000 Baht/day. Interest is paid at the same rate as savings accounts in accordance with TMB’s Interest Rates Announcement, to be calculated on a daily basis and paid to your account twice a year, in June and December of each year. Other fees and charges are in line with the Bank’s published rates. A copy of national ID card or other ID card bearing your photo and issued by government authorities. A copy of national ID card and House Registration of authorized signatory. Minutes of the Meeting relating to baht account opening together with other criteria. Signature specimens of the company’s authorized signatories according to the Company’s Registration Certificate.